Being Headmistress of Coopersale Hall is not only very enjoyable, it is also a privilege to work with a committed, well qualified staff, and children with a real passion for learning, discovery and adventure. Every parent wants the best for their child and it is our purpose at Coopersale Hall to work closely with you to create a secure, supportive yet challenging environment in which children can thrive. 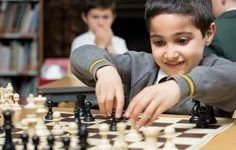 Our excellent resources and extensive grounds help to ensure that our pupils achieve and develop their talents and skills, be they in academic subjects, sport, the arts or in anything else that they may wish to do. Our traditional values also emphasise the need to have respect for others, to be a good citizen as well as to develop an openness to new ideas and to take initiative. We take great pride in our Year 6 pupils who pass examinations to a wide selection of senior schools, many being offered scholarships and awards. They do so having developed the self confidence and the attitude “If at first I don’t succeed, I will keep on trying”. They are ready to face the challenges of an ever changing world. I do hope that you will come and visit Coopersale Hall at our next Open Day or come along for an individual tour. I will be delighted to meet you and your family, show you our happy school and answer any questions you may have.